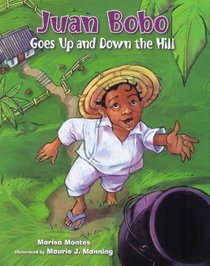 The text Juan Bobo Goes Up and Down the Hill does not yet have any Literary Text Complexity Qualitative Measures Rubrics filled out. Perhaps you can help. No educators have yet completed this "grades used" section of the Literary Text Complexity Qualitative Measures Rubric for Juan Bobo Goes Up and Down the Hill, where they share what grades this text is assigned. Perhaps you can help.